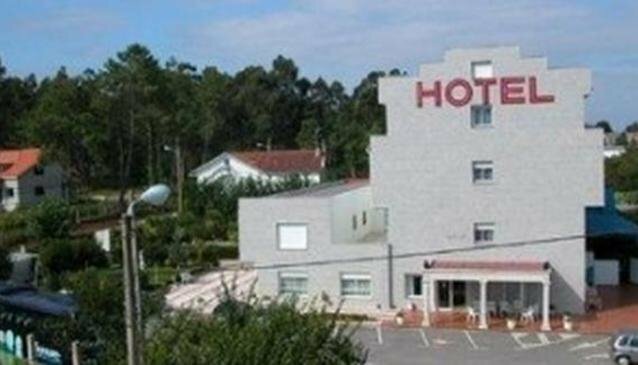 This accommodation in Sanxenxo is only 2.5 km from the centre of the town. Those who stay at the Susuqui will find that they are close to many popular beaches where they can spend the day on the shore or in the water. They will also be able to find sites of historical interest in the area. The Hotel Susuqui is close to many of the main roads, which makes it easy to reach all of the popular destinations in the area. Guests that don't have a rental car will be able to use public transportation to reach areas that are not as close to the hotel, as well as the airport. Rooms at the Susuqui Sanxenxo include bathrooms, hairdryers, desks and TVs amongst their amenities. The hotel offers laundry and dry cleaning services for guests. Those staying at the Hotel Susuqui Sanxenxo will also be able to have a drink at the onsite bar and dine at the onsite restaurant. The hotel has an outdoor pool as well.